Alberta welcomes one CFC100 commit and another out-of-province commit to their 2019 class. 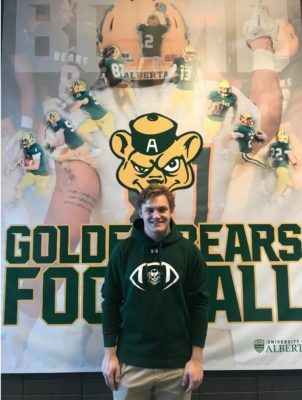 CFC100 Luke Hornung, a quarterback from Miller Comprehensive Catholic High School, and Nik Hunchak, a kicker from the Vancouver Island Raiders (CJFL), have a plan, and that plan includes the University of Alberta Golden Bears. As soon as Luke Hornung met with the Golden Bears, he knew it was the team for him. “I chose U of A because I loved the facilities and the feel when I took my visit. I felt very welcomed and appreciated there. They have a great coaching staff that believes in my ability,” he said. “The new OC at U of A has a great system that I feel will compliment my playing style. The head coach has a lot of experience that will help me grow into a better player,” the future psychology student added. 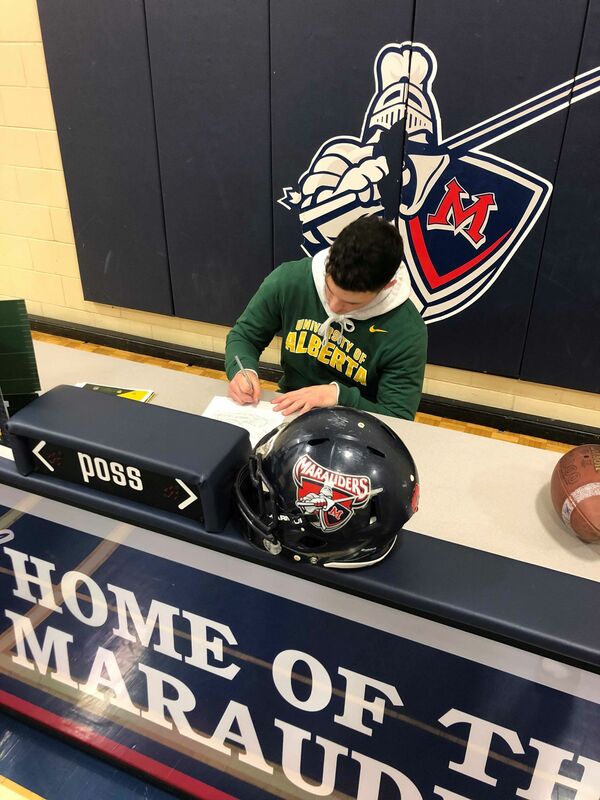 Standing at 6’1, 185lbs, Hornung of Regina, Saskatchewan, played with the Miller Marauders (RHSAA) and the South Sask Selects. In 2018 he helped his team capture a city and provincial championship. He also won a 3A city championship in 2016. For Nik Hunchak, the University of Alberta just made sense. “It’s close to home and my girlfriend wanted to go to school in Edmonton eventually, so once I reached out to the Golden Bears it all fell into place,” he said. Always seeking to improve, Hunchak said he will have excellent kicking and special teams coaches with the Golden Bears. “I’m really looking forward to that and them helping me to become a better punter,” the product of Saskatoon, Saskatchewan added. Hunchak, who is 6’0, 200lbs, spent two years with the Vancouver Island Raiders. He was a 2017 BCFC all-star and he also won the special teams MVP in the 2017 Cullen Cup. He is interested in education.